I'm in need of some Hair imports. I mean, I would like them. I can't really force you to make them. Anyway, I want some of Zelda girls. Like Nayru From Oracle of Ages. Sorry, don't really have a good example pic. Of course with out the scarf thing. I only really need one because this would be a lot of work. If you're up to it, I'll try working harder to find example pics. I second this. Especially Din. Please make these. 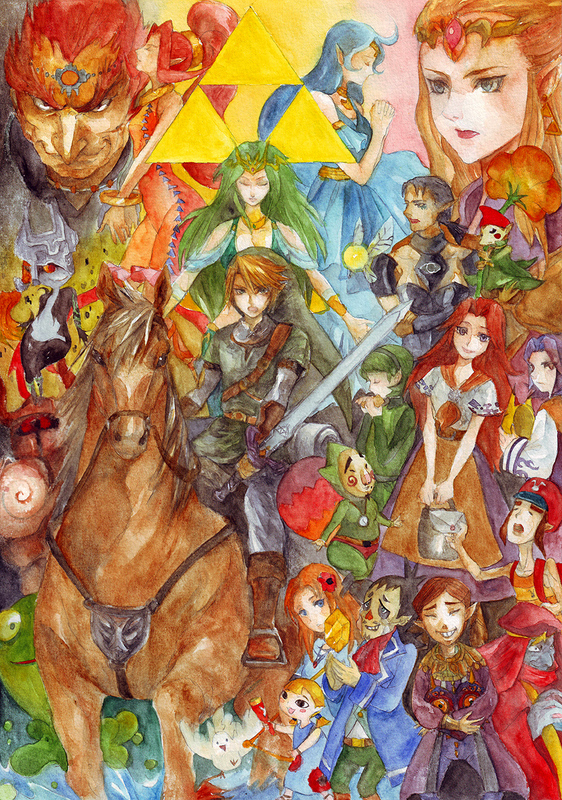 I think the Zelda series needs a little more love. 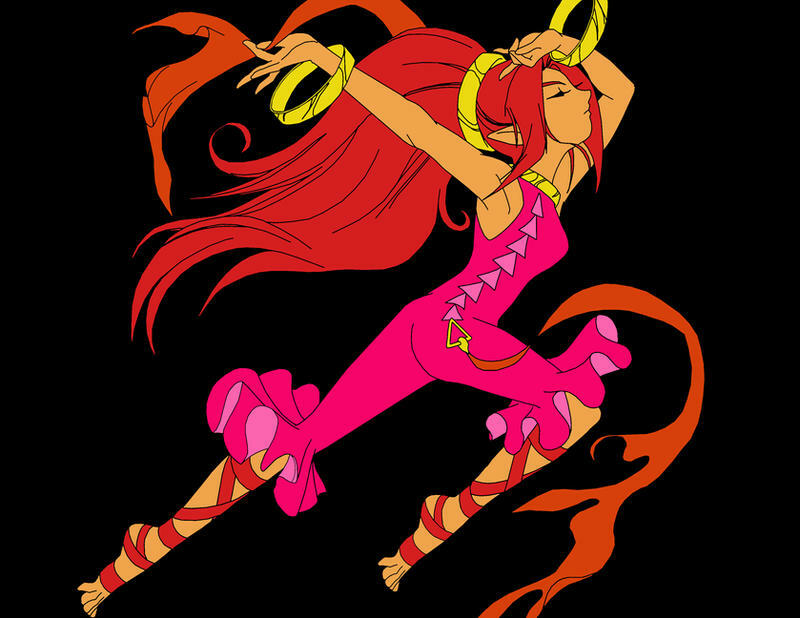 I could easily find a dozen female characters I'd like to see in SDT, but I'll start small. 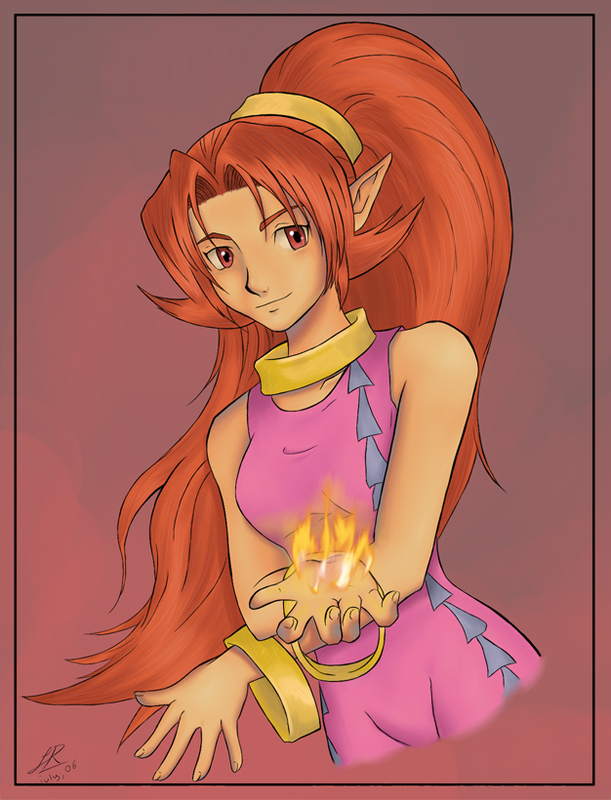 I would very much appreciate it if any artists on the site would like to take a crack at Malon or Anju. 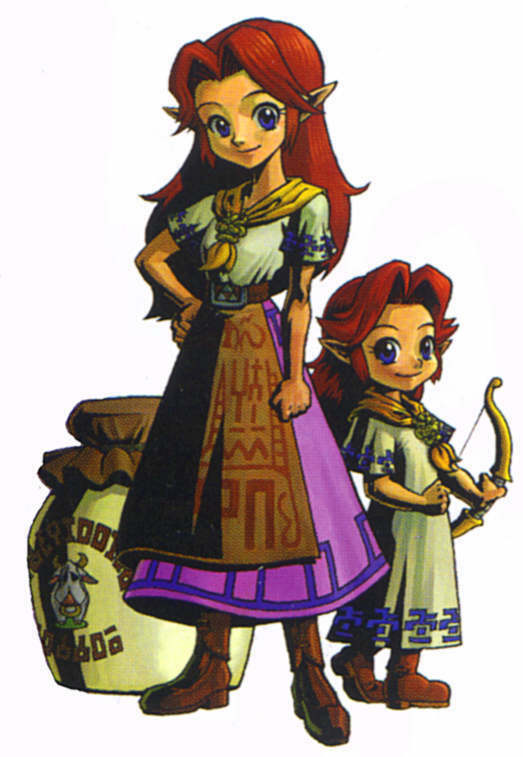 Malon (from Ocarina of Time) has two character designs: younger and older. 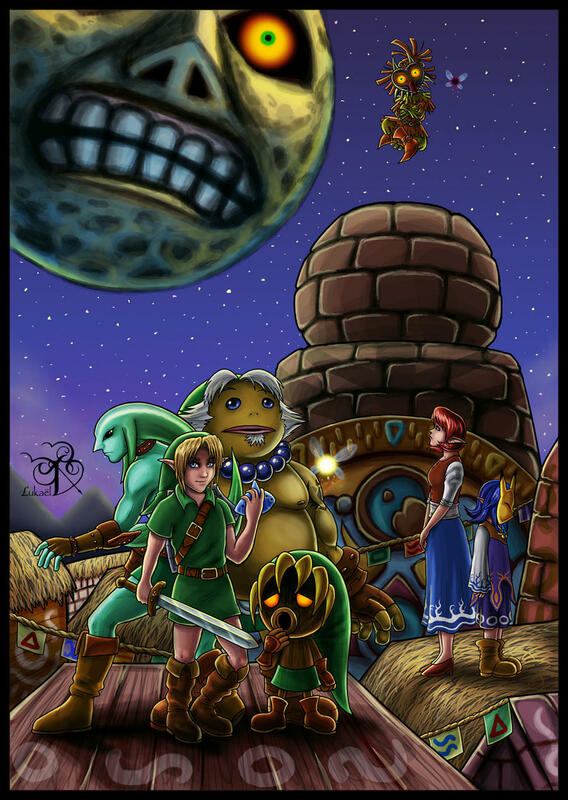 Both designs were reused in Majora's Mask for Romani and Cremia, respectively. 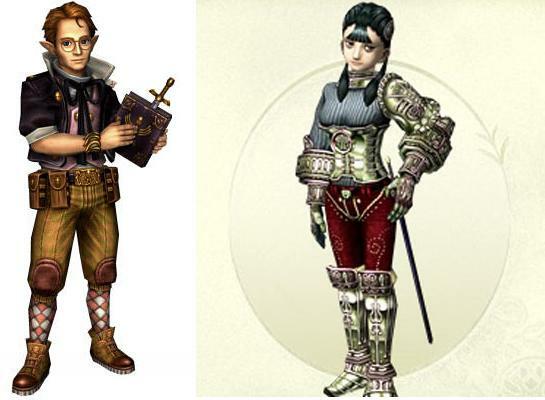 Their hairdos are pretty much exactly the same, except for being longer on the older character, so I think one hair import will work for both. This cosplay pic is a perfect profile angle, and a very good imitation of the character's hair. 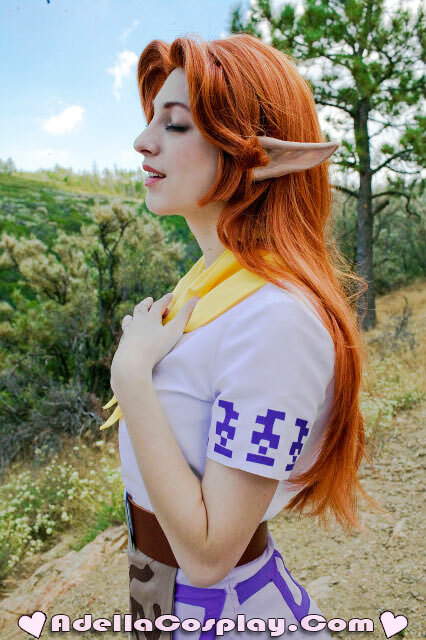 (NSFW) Not-quite-profile of older Malon, but still a good angle. 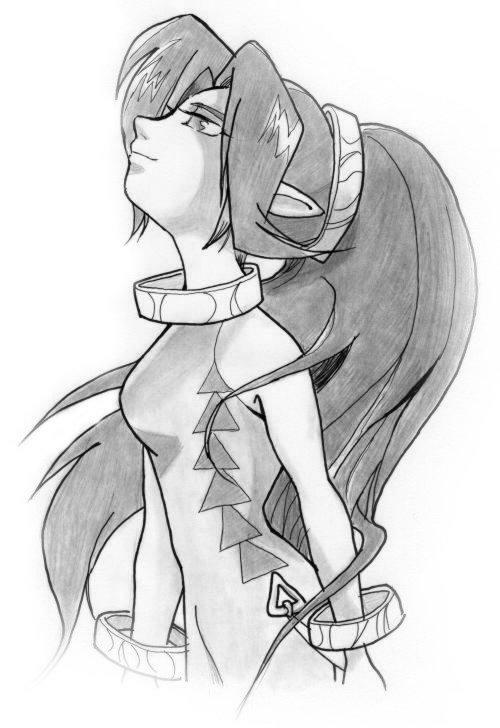 Here's a good fan-art profile shot which, if nothing else, further displays the length and color of her hair. Hopefully that's a decent variety of references, but I'll keep looking for better ones. I know there are a lot more requests than there are artists to fill them around here, so I appreciate the time taken to consider mine. Edit (4/26): Added seven more references. Fixed a broken link. As long as our requests are together now, I can add a few reference pics for Manioman. Nayru and Din are hard to find, though, and there isn't much 34 of them. Bumping for great justice with a wealth of new profile reference pics. All of them are from DeviantArt, but I sifted through and found 2-3 good pics for each request except Shiek. Perfect angle. The water is a bit distracting, but the hair is very well done. 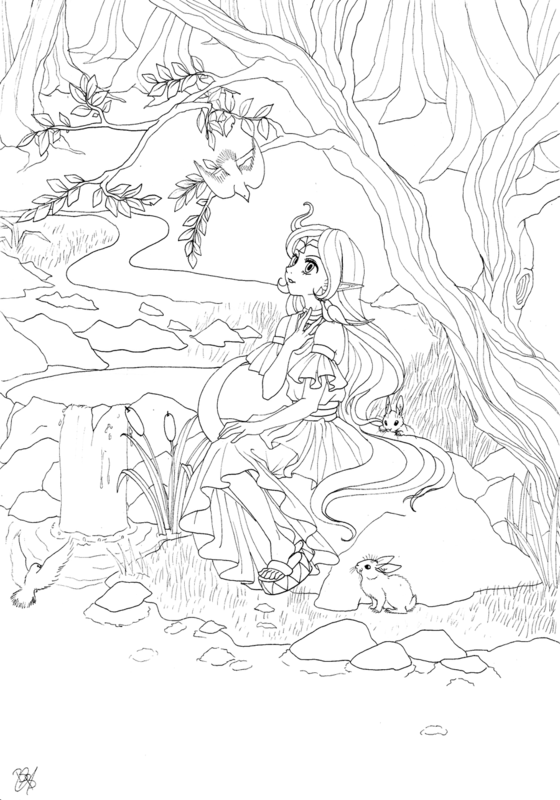 Uncolored, unshaded, angle is slightly off. But the style is right and the 'do is perfect, so it might help somebody. References like this are what all true warriors strive for. Only problem is it's not colored! Not a bad pic, style is basically right and it's a profile shot. Again, it might help somebody. This black-and-white picture is more of a sketch, but it's the perfect angle and her bangs are spot on. Once again, perfect angle. Not a lot of detail, but the artistic style is pretty clear in a lot of the earlier references. You'll have to zoom in, but I can't see anything wrong with this pic. Perfect angle, perfect style. Perfect angle again. Not a lot of detail, but there's some good shading and it's very accurate. 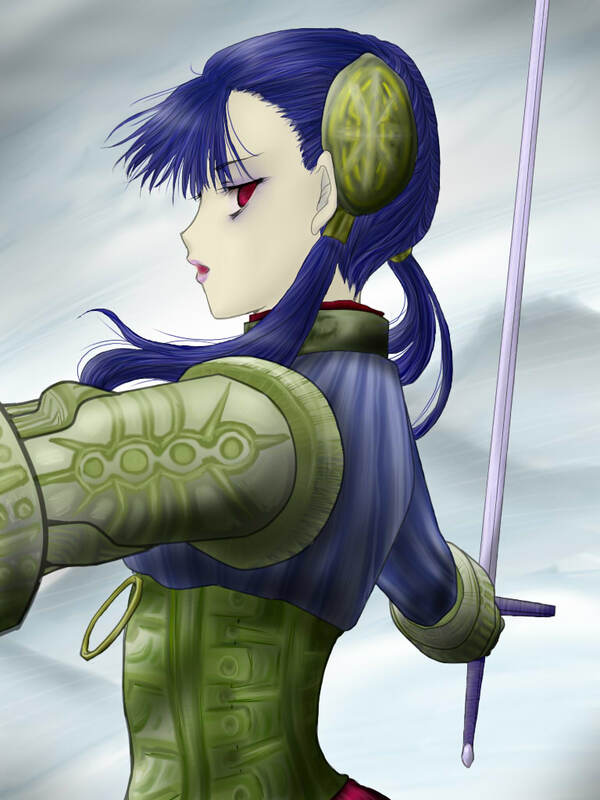 This is just another pretty good profile shot I found, probably unnecessary, but the more the merrier eh? Two more: This pic features both Din and Nayru at the very top; the full lengths of their hair is obscured, but the tops are great, and that's the hardest part, right? Plus they're both in profile. 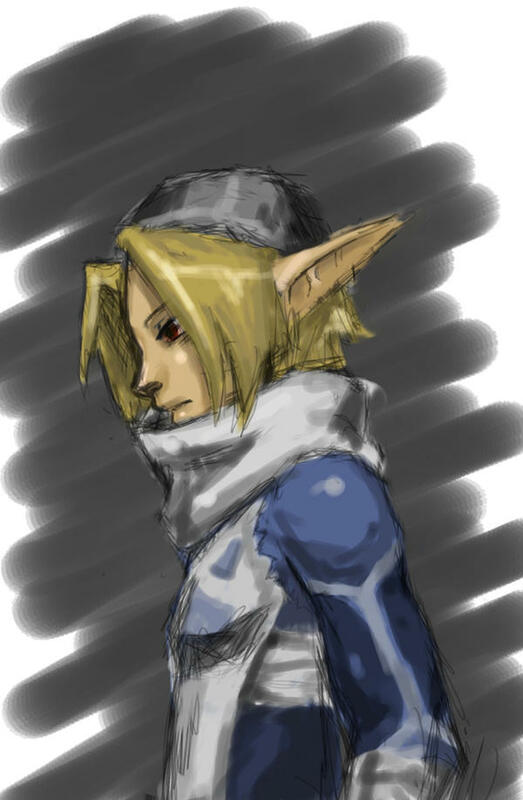 Lastly, I wasn't really looking for Shiek pics, but I found this one anyway. Very little detail and the style isn't quite right, but it's a profile view and the hairdo is pretty accurate. Even if you don't want to take up the challenge of making the imports, I would very much appreciate some feedback on my reference pics. I'm trying to find decent ones, but if these aren't good enough a little critiquing might help me narrow down my search to find just the right pics. http://gelbooru.com/index.php?page=post&s=view&id=1195086 (this one's a good one, it looks like its concept art from different angles, which I'm guessing would be helpful). My vote goes to Nabooru / Malon as well; posted are the best references for Nabooru I could find, as there are barely any side-shots. Second basically this whole post, especially Din, Nayru, Farore, and Malon. 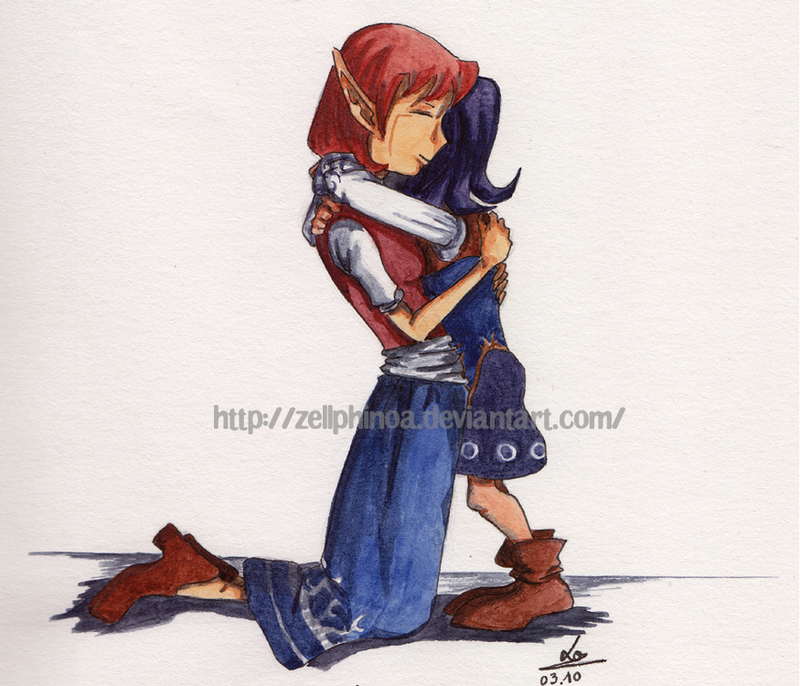 Finished Zelda from Skyward Sword. There aren't any good reference pics for Zelda so I used Tifa import's outline as a reference. 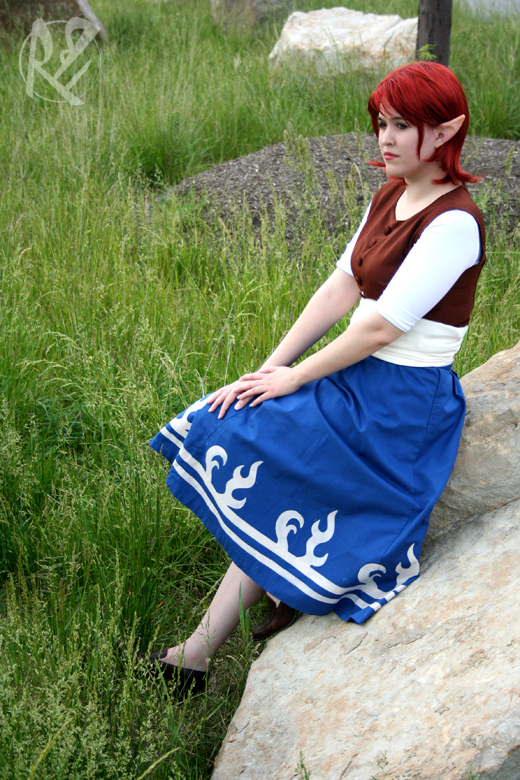 I'll second the whole list, especially Anju and Malon. I'd also like to request Ashei. Hope these are good enough; I found a couple of semi-worthwhile samples at photobucket, but none of them would load for me, for some reason. Yes. ;D Many thanks, Kir! Great job on SS Zelda! I look forward to the result and would love if anybody can contribute a decent photo that captures her better from the side. I'll keep looking in the meanwhile. Thank you! I'm probably going to be the only one who wants her. I'll second the request for Ilia, especially since the other two I wanted (Nabooru and Ruto) have been done now (though on a different thread). 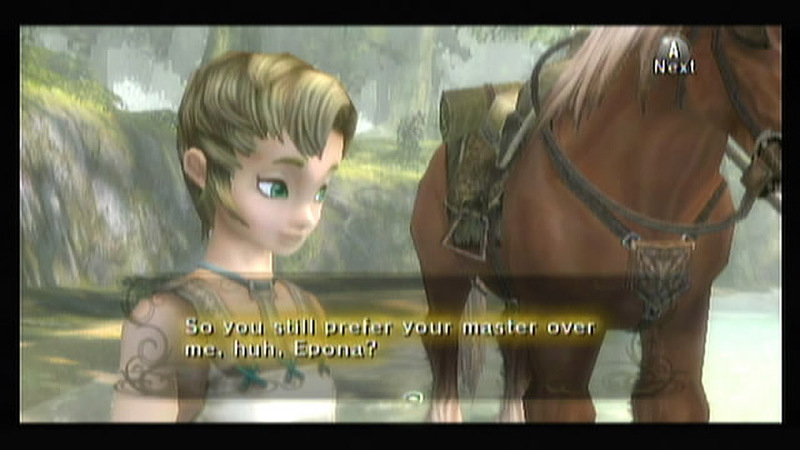 I'll third that, along with any other Zelda ladies. 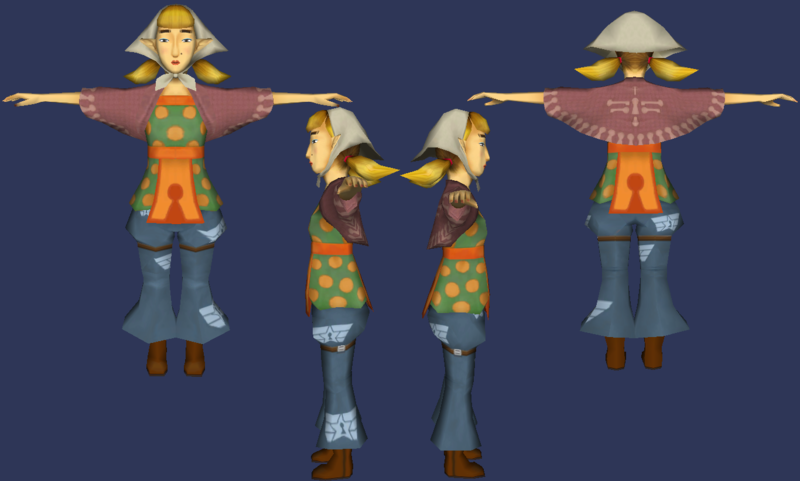 Can you make one of Peatrice from Skyward Sword? Felt bad for Jordan for not having any reference pics, so I spent 10 seconds on Google and found possibly the best reference pic ever.